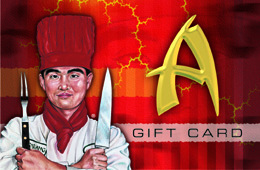 Welcome to Arirang Hibachi Steakhouse and Sushi Bar! Arirang Hibachi Steakhouse and Sushi Bar is conveniently located in Staten Island & Brooklyn, New York, Sayreville & Mountainside, New Jersey, now in Langhorne PA.
Come visit us for a memorable evening where dishes are prepared at your table by our Expert Chefs, with only the finest in steak, chicken and seafood delights. Enjoy a drink from a wide variety of tropical flavors. Have some sushi and sashimi from our exclusive sushi bars. For balance inquiries call the phone number to a Arirang Hibachi Steakhouse & Sushi - Central's location below.